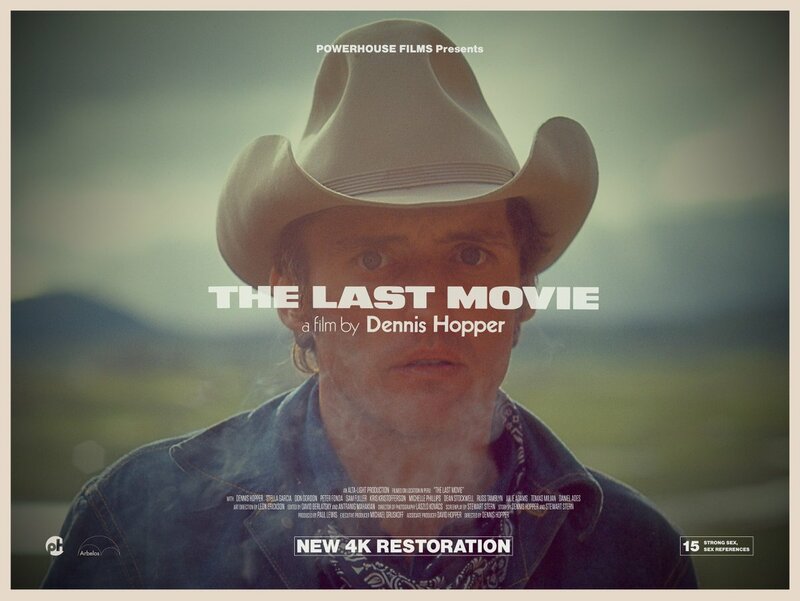 Indicator continually retweet and share any posts related to Arbelos Films’ big restoration of Dennis Hopper’s The Last Movie. Is this on the horizon for an Indicator Blu ray release? They replied to someone on Twitter saying they weren't just randomly retweeting. Ah, I’d been eager to see a reply and had not yet seen one. Excellent! The 1970 Frankenheimer film I Walk The Line has recently been on Talking Pictures TV and that is a Columbia title. The Last Movie is going to be shown at the London Film Festival in October. If Indicator still has a deal with Universal then would that be a viable future title? Similarly if Can Heironymus Merkin... were to be available, would that be more of an Indicator thing or more of a Flipside thing? The Last Movie is pretty much confirmed coming from Indicator. They've been liking and retweeting stuff about it for months. When asked if their actions on Twitter meant anything, they said something along the lines of, "We're not doing it accidentally." So The Last Movie is definitely coming. I would guess it will be Region B only though since Arbelos has the rights in Region A. Will be interesting to see which version of The Last Movie makes it to market first. Nice to have choice, in any case. I really want The Last Movie. Will probably wait for the Indicator. Cronenfly wrote: Will be interesting to see which version of The Last Movie makes it to market first. Nice to have choice, in any case. Arbelos have already announced theirs for November 13th, whereas Indicator’s will be December at the earliest now. There’s a chance Indicator’s will include The American Dreamer as it doesn’t already have a disc release in the UK. UK cinema release on December 14th. Last edited by Calvin on Wed Nov 07, 2018 5:58 pm, edited 1 time in total. Yes, hope to see both very much. There are no plans to acquire Out of the Blue. Sorry to pour cold water over the notion, but a friendly retweet about a third-party restoration that hasn't even happened yet seems to have caused more excitement than was intended. Most excellent. I'm also very pleased to see Powerhouse/Indicator giving it a theatrical run. I wonder what the state of play is with The American Dreamer in the UK. Obviously there's a US Blu-Ray release of that from Etiquette, but I'm sure Indicator would have included it here if it were possible so does someone else have the UK rights? Boy, the extras are enticing but this is a hard pass for me. I caught this on VHS 15 years ago, and it’s a real mess. Out of the Blue is something I’d like to see again. Agreed with Bearcuborg. Another one of the film I expect Domino Harvey to call out for being revered for being rare, not much else. And I saw this in 35mm last year, so my memory of it is pretty good! Saw the new restoration on a double bill with Easy Rider last month. I still don't think much of Easy Rider aside from being a time capsule and its attempts at porting experimental visual techniques to a pretty straight-forward narrative, but I loved The Last Movie. No denying it's a mess, which I can see being thoroughly disappointed by if I'd waited decades to see it, but having had no real expectations, I thought it was an interesting mess. The restoration looked good, too, and I've listened to a few podcasts/read a few articles where folks who'd seen the VHS ages ago say that, despite still not exactly being cohesive, it makes a whole lot more sense with everything cleaned up, since more of the narrative clues buried in the details are actually legible now. I like David E. James's reading of this project, which is that the circumstances of its making—Hopper blowing a ton of major-studio money on a project essentially designed to fail—represent an even more radical gesture than the contents of the film itself. This looks pretty similar to the Arbelos, which is good I suppose. Don’t know if the more deluxe packaging is worth the extra wait. I'm a big fan. I understand hating it as well, but then a lot of people don't like Godard's movies either. *shrug*. I'm actually entertained by it seeing some release now because it's the closest movie to The Other Side of the Wind that I can think of, both thematically and stylistically. I'll raise you one: I saw the restoration of The Last Movie, a 35mm screening of The Other Side of the Wind, and watched Ray's We Can't Go Home Again all in a two week period. They make for quite the trilogy of convoluted screeds about the state of film-making in the early 70s. I think Ray's ended up being my favorite just because it's such an odd, odd piece of work—in the same ballpark as the other two, but probably selling hot dogs while Welles and Hopper are out on the field—and weirdly hopeful after the other two's riotous bitterness, but maybe that's just because I was very much primed for it by the first two. Wow, that is quite a triple feature senseabove. I will say that the accompanying documentaries for both Welles and Ray do give some much needed clarification to their films (particularly Ray) and ultimately I’d much rather hear both men talk about their movies than to see them again. Hopper could be quite insufferable when talking about his work as a filmmaker. ...I'm actually entertained by it seeing some release now because it's the closest movie to The Other Side of the Wind that I can think of, both thematically and stylistically. Interestingly, in an outtake from The Other Side of the Wind (presented in the documentary They'll Love Me When I'm Dead), Hopper, playing "Dennis Hopper", briefly describes The Last Movie, ostensibly after being asked a question about it by Welles. There's apparently about an hour of footage of Welles and Hopper talking, a lot about The Last Movie. Hopefully we'll get to see it one way or another.